wine bottle assignment, originally uploaded by losmedanosart. 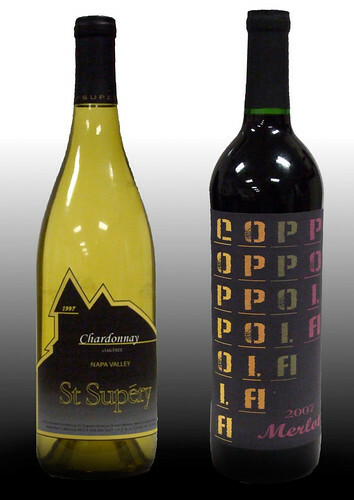 Adobe Illustrator students Marie Vaughn and Greg Greeson created wine bottle labels for their final project. Both are based on actual California Wineries. We didn't actually taste the wine, or open the bottles, but if the vino is anywhere near as good as the design work, it must be pretty darn drinkable.